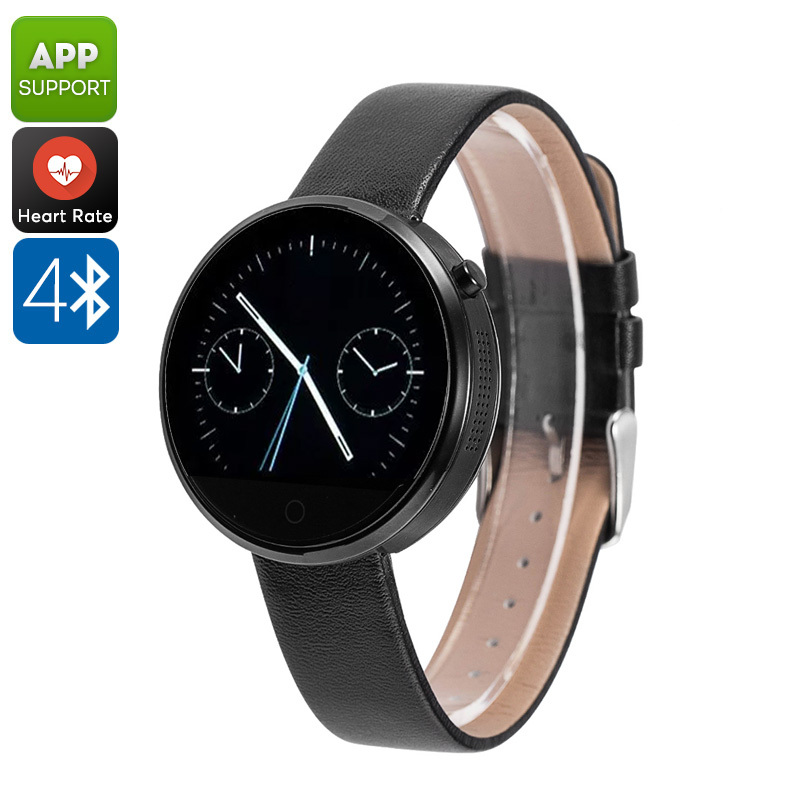 Successfully Added DM360 Smart Watch - Heart Rate Monitor, App Support, 320mAh, Bluetooth 4.0, Calls, Messages, Pedometer, Sleep Monitor (Black) to your Shopping Cart. The DM360 Bluetooth watch is so much more than a regular wrist piece. By supporting Bluetooth 4.0, this smart watch can be conveniently synchronized with your iOS or Android phone. Once a connected is established, you’ll be able to enjoy the vast majority of your smartphone’s features straight from your wrist. It even features a built-in microphone and speaker thanks to which you’ll be able to engage in phone calls without needing to physically hold your phone. This will significantly increase your connectivity on the go. Naturally, its beautiful 1.22-Inch touch screen also allows you to read and instantly answer to SMS messages. If you are looking for a smart watch that motivates you to keep fit, the DM360 is perfect for you. This beautiful Bluetooth sports watch does not only offer great connectivity, it also comes packed with an abundance of sports features. Hereby you can think about a pedometer, heart rate monitor, sedentary reminder, and more. The watch itself has been rated IP53 waterproof, meaning that you can wear and use it during your workout and in any weather condition. With its 320mAh battery, this smart watch will get you through multiple days of usage time. You’ll be able to make calls, send messages, listen to music, and enjoy its health features without worrying about battery life. Thanks to its stylish and sleek design, this beautiful Bluetooth watch can be worn with confidence at any occasion. Whether you’re at work, the gym, or at home – the DM360 Smart Watch will match with all your outfits. The DM360 Bluetooth Watch comes with a 12 months warranty, brought to you by the leader in electronic devices as well as wholesale smart watches..